Did you know you can actually read about Jesus, in stunning detail, before you ever get to the New Testament? You’ll be utterly astonished at how the lives of Old Testament characters — King David, Moses, Adam, Joseph, even Job and others! — mirror and reflect on the life and work of the Messiah. Journey with Pastor Doug throughout the Bible to discover why the Son of God is called the Word Incarnate. This thrilling Bible study experience will enlighten you, inspire your faith, and give you greater confidence to share Jesus with others. 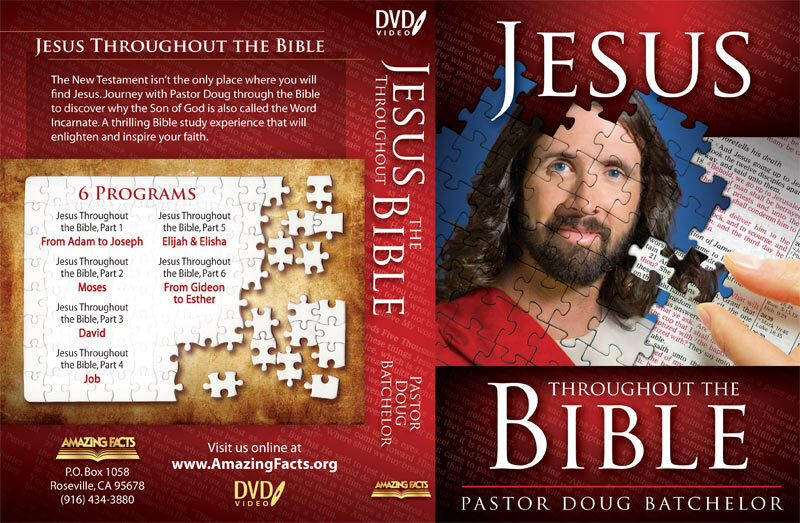 The Jesus Throughout the Bible 6-DVD set has more than 6 hours of stunning, eye-opening information that every Christian needs to know! You’ll become an expert on how to convince friends and family that the whole Bible is important when considering Jesus.